No other commodity in the modern age has affected the world stage as much as oil. As a basis for any modern economy, crude oil is second only to water as the liquid perceived as vital to life, and the global political stage – particularly since 1970 – has been largely shaped by the price movement of oil in the financial markets. No wars have been fought over corn, pork bellies, or gold. In modern rhetoric, oil has been made the figurative equal of blood. The popular perception of OPEC is that it is an all-powerful cartel of Middle Eastern countries that has unilaterally set the worldwide price of crude oil to maximize profits, to the chagrin of industrialized Western countries beholden to its decisions. The truth is far afield from this set of common assumptions. The growth of the middle class and the availability of the car also created a land boom peculiar to American history – that of Florida. Between 1920 and 1925, the population of the state grew from 968,470 to 1,263,540, and most of this was prompted by an urgent desire to acquire property that was believed to be an almost sure-fire certain investment. In the end, it would be discovered that Florida was not perfect, and that between the heat, mosquitoes, and hurricanes, Florida had problems just like anywhere else in the country. But to a nation relatively naïve about the potential paradise in the panhandle, the allure of a tropical splendor in the continental U.S. was too much to resist. A few days ago, I happened to discover that Ray Dalio, the famed money manager from Bridgewater, had come out with a new three-volume set called Big Debt Crises. I realize this isn’t the kind of thing that would grab most people’s attention, but honestly, it’s fascinating. It is packed with hundreds of historical charts and dozens of examples from other centuries and other countries where economic mayhem took hold. Since I believe the entire globe is heading toward something catastrophic……….forewarned is forearmed. I would urge you to consider getting this book. It’s one click away. I just finished reading the best-selling Coming Apart by Charles Murray. I confess to not having heard of the book until I saw it in the store, but the cover of a champagne glass and a crumpled beer can instantly suggested to me that I was going to enjoy this new examination of the United States and its sociological disintegration of the past half-century. 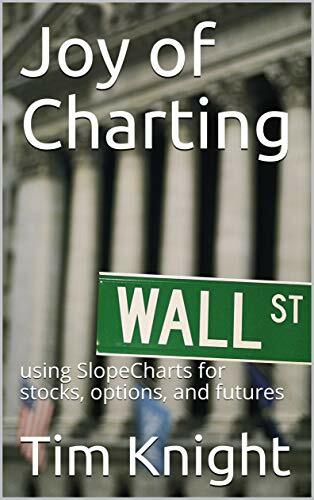 I am pleased to announce my newest book, available presently only for Kindle readers: Joy of Charting. Unlike my printed books, which are typically like sixty dollars, this one is all of $2.99 (which is the lowest possible price Amazon even allows). For any of you the slightest bit interested in charting or SlopeCharts, please give it a read, since it costs less than a cup of coffee and hopefully will do you a lot more good in the long-term. For your folks without a Kindle, a print book will be coming early next year, and I’ll certainly let you know about it here.